Need help with stress management, reading comprehension, note-taking, memory techniques or exam anxiety? Learning Skills Coordinators provide support to students in three major areas: one-on-one tutoring, workshops, and through the recruitment, training, and supervision of peer tutors to support student success. One-on-one tutoring and workshops focus on effective learning and study skills. There are also some exam assessment services available. Learning Skills Coordinators provide support to students on most campuses. For more detailed information on learning and study skills please visit your Learning Success Centre. The term 'study skills' refers to a huge array of personality traits, attitudes, thinking processes, and behaviors -- all of which are related to how a person approaches a learning task. The Learning Success Centre staff provide handouts, workshops, and one-on-one help in the many areas related to academic performance. If you're a student who is struggling with mathematics or science, come visit the Mathematics and Science Tutoring Centre. We are educators at Selkirk College with backgrounds in mathematics, physics, and chemistry. Located upstairs in the Castlegar campus library, the mathematics and science tutoring centre is open for 18 hours each week from the beginning of September to the end of April. You can find our hours of operation posted on the wall at the tutoring centre. You can book an appointment in person by writing your name on the timetable posted on the Math/Science Tutor centre wall. We also welcome drop-ins. If we are with another student you are still welcome pull up a seat. Don't be shy, everyone is welcome. Contact a Learning Skills Coordinator at your Learning Success Centre. 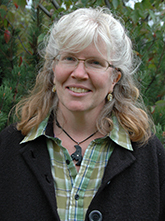 Selkirk College Learning Skills Coordinator Laurie Jarvis is based out of the Silver King campus in Nelson. Selkirk College Learning Skills Coordinator Darcy Falkenhagen is based out of the Tenth Street campus in Nelson. Selkirk College Learning Skills Coordinator Todd Solarik is based out of the Castlegar Campus.